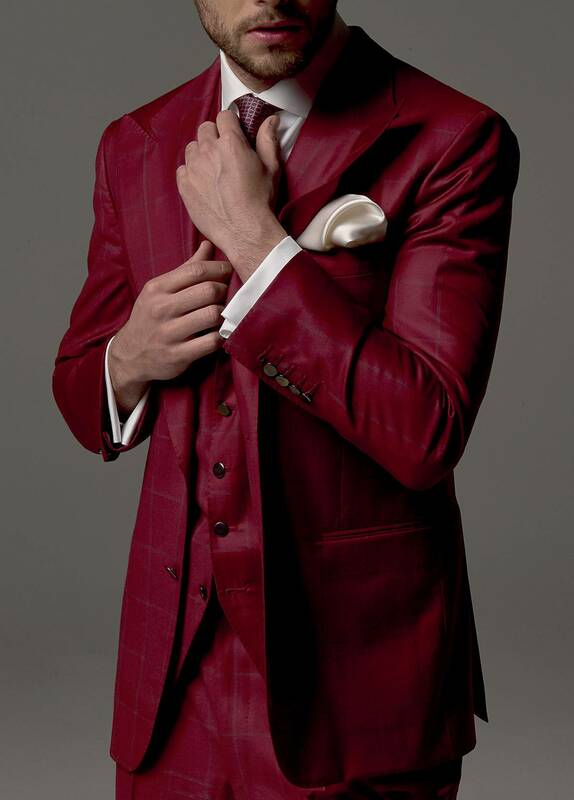 The style of my suits is a modern vintage inspired by classic models models living in a contemporary atmosphere. Inspired by the ’20s, I rediscovered vests, the fundamental third element of the suit. 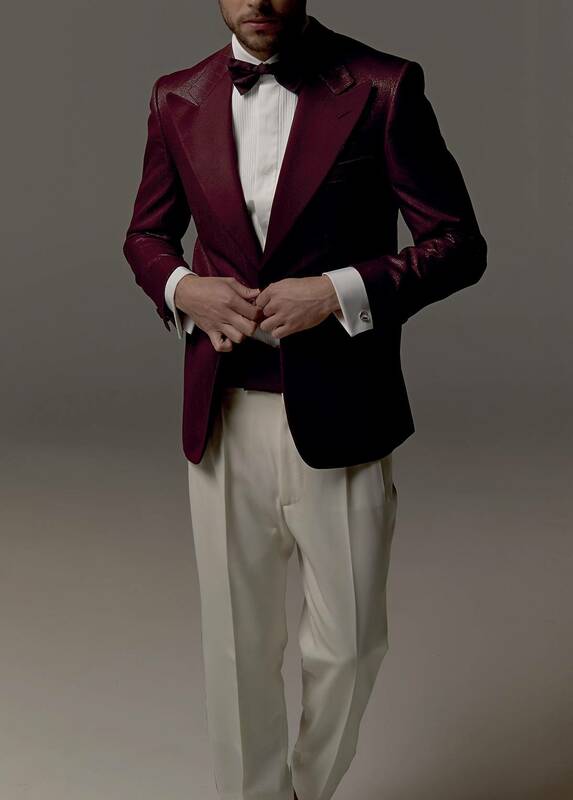 The Roaring Twenties were the time when men’s clothing reached its peak in elegance. In pants, the models I prefer are made ad they used to be at the time: they should have neither belt loops nor back pockets; the belt is substituted by suspenders and the widht of the waist is regulated with a band. I love classic textiles, such as multicolored tweed, harringbone, or dry wool, such as solid color flannel. 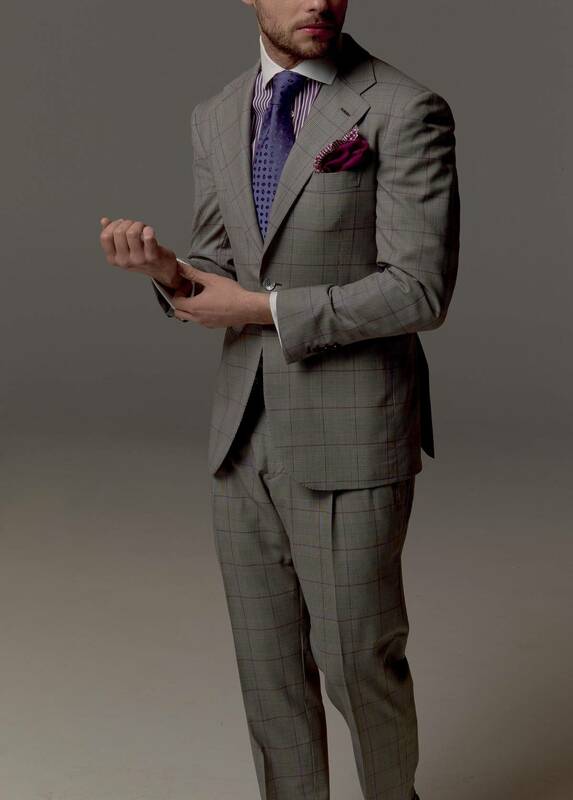 In men’s clothing patterns are banned, the only exceptions glen plaid and pinstripes. Today’s technologies make is possible to have unprecedented blends, special and refined, such as sable and cashmere, or vicuña. Whit Dormeuil, a British company we work with, we developed our own Alessandro Martorana textile, barely 260 grams, produced with very lightweight wools from New Zeland. Is one of my favorite suit. It’s a timeless garment, but in order to give a contemporary impression it must follow precise rules: at least 2 centimeters between one line and the next, and tight fitting.